Buy Close By: Buy Vinton! Are you IN? 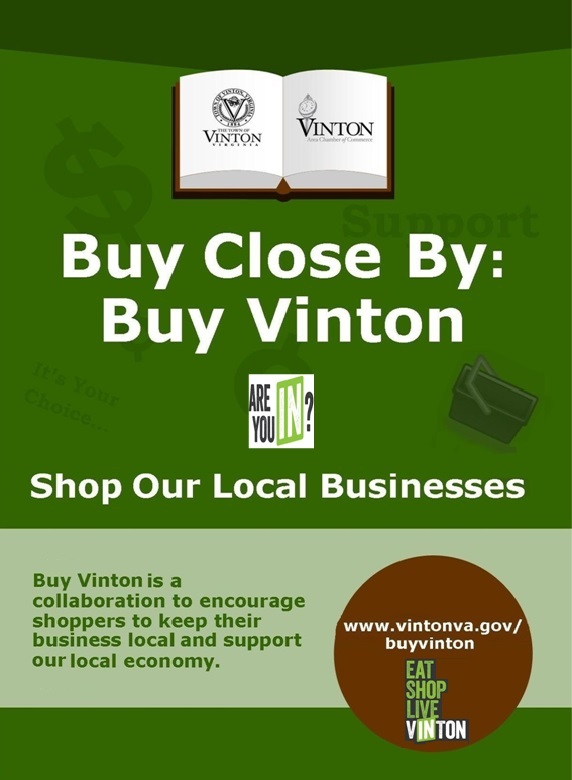 The "Buy Vinton" promotion is an effort to build awareness about the importance of supporting locally owned businesses. Our goal is to change buying habits and unite the community by combining our greatest resources: local customers and local small businesses. By enjoying what our local small businesses offer, we not only strengthen our local economy, but experience and taste what you can only find in Vinton. You have a choice of where you eat, shop, and do business. Buy Vinton! Are you IN? When you shop in town 1% of that sales tax is allocated for local funding. This pool of money is allocated to each county which helps pay for our emergency services, local library, trash collection and traffic control and our children's education. When shoppers spend money out of town, or online, those tax dollars support services in other communities.